Toronto, fourth largest urban economy in North America, is home to many independent and public galleries showing contemporary art. We recently made a foray out to an intriguing exhibition of the new paintings of Andrew Rucklidge. Chris Lowry's review and conversation with Rucklidge reveal a keen intuition for the hidden layers in a landscape. As a boy, Andrew Rucklidge was fascinated by wooden cases of rock samples that his geologist father would bring back from faraway places like Greenland and Spitzbergen, telling stories of “getting stuck in the ice, fishing for salmon with dynamite.”1 As a young man he went to see for himself, living for a few years in the Yukon, cultivating a taste for wild rivers and big skies. After he became a painter he continued to be drawn to the harsh, otherworldly magnificence of the far North. Now, at 49, he goes on annual whitewater canoe trips with his wife and children and spends much of the summer out in the islands of Georgian Bay where he has a seasonal studio. He completed an MA in Fine Art at Chelsea College of Art in London in 2003 and he’s been working as an artist and exhibiting internationally since then, fourteen years. He currently teaches at the Ontario College of Art and Design in Toronto, including a course in painting methods called “Contemporary Alchemy”. It’s kind of like an elixir that I am making every summer. 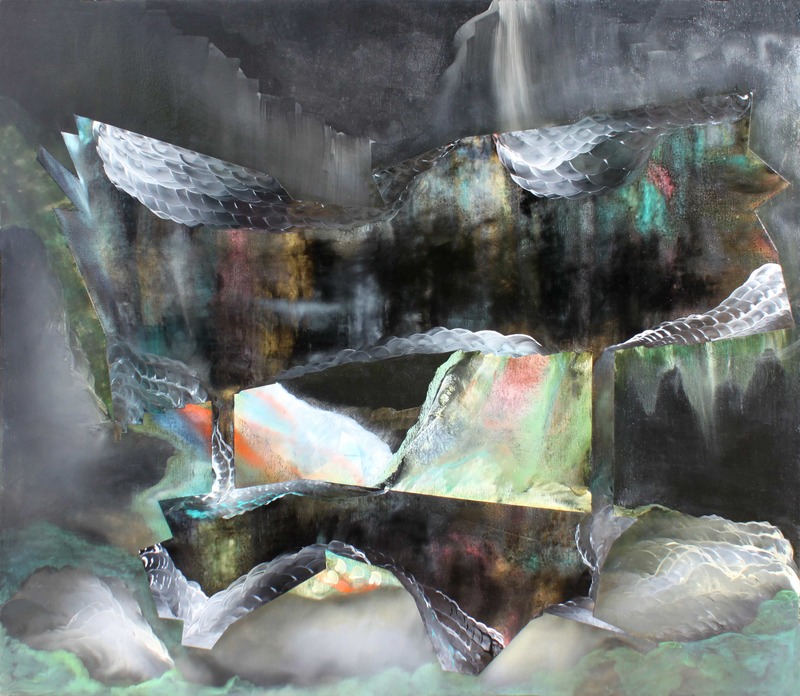 Rucklidge grew up with a strong family orientation to chemistry, physics and minerals, giving him an extremely comprehensive understanding of his raw materials — rare for an artist. His methods, and the works that emerge from his process, have something in common with ancient alchemy’s convergence between science and poetics, chemistry and metaphysics. Rucklidge, Andrew. A bright room scanned darkly. 2017, 52 x 60 inches, oil on canvas on toned gesso. 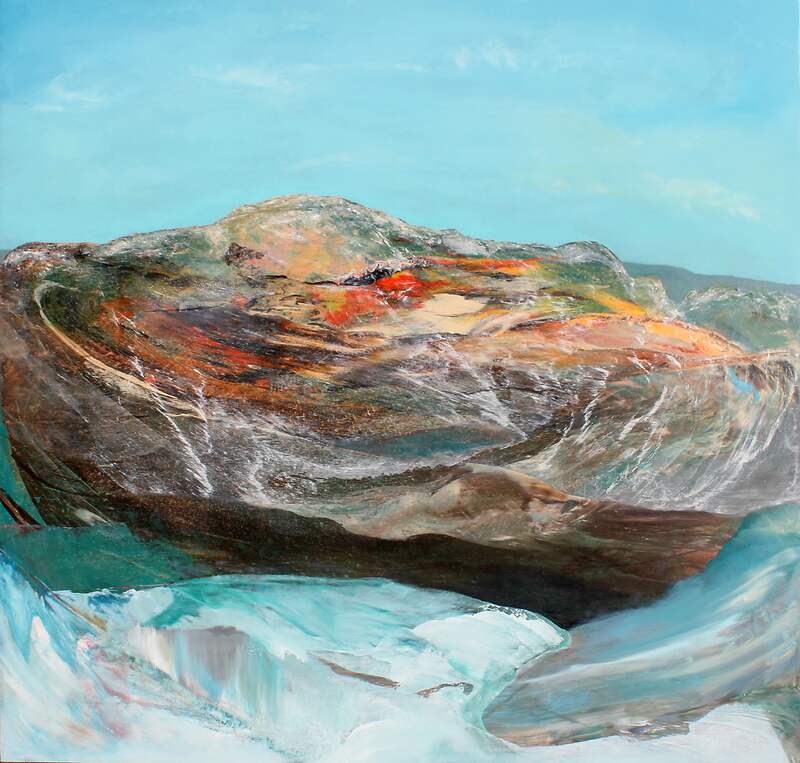 Rucklidge's paintings appear to imitate the geological world, effects that are achieved in part through his understanding of chemistry. “I think of pigments as parts of minerals. I’m very aware of the chemistry, of the elements that make up the pigments. Cobalts. Different oxides, different colours . . . I can still remember childhood chemistry experiments and recall where the pigments are located on the periodic table. I’m never confused when I use pigments in different mediums. 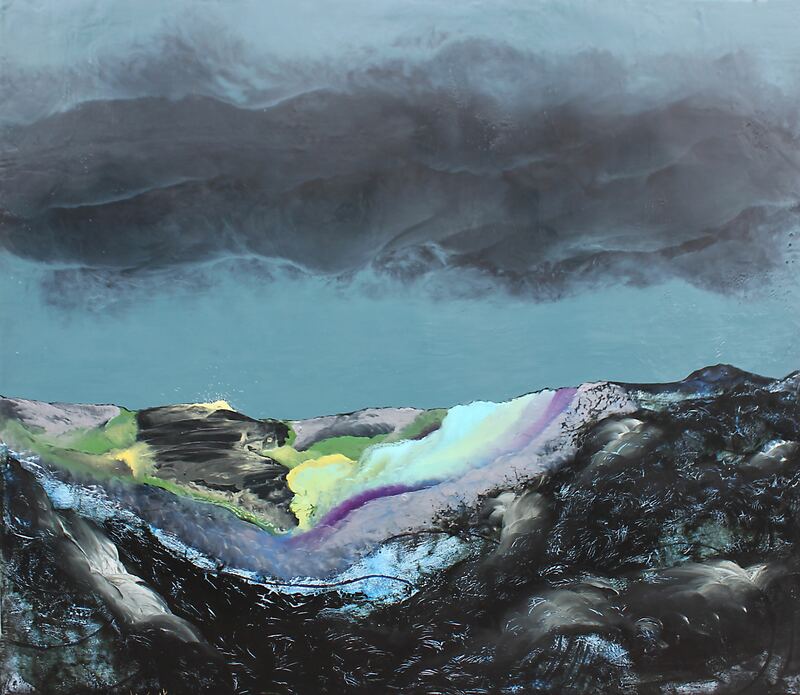 I know the mineral content, and how they relate to each other in the same painting.”2 In the painting, “The Wasting of a Pingo”, for example, the bright white flecks in a dark rock face are titanium oxide pigment in pure form, which has been deliberately left unmixed in the surface of the paint, creating the effect of debris on the land. Rucklidge, Andrew. The Wasting of a Pingo. 2017, 38 x 54 inches, oil and egg tempera on toned gessoed panel. Rucklidge, Andrew. Resistant Beds. 2017, 52 x 60 inches, encaustic and oil on toned gessoed panel. What is a pingo, you may ask. A pingo, also called a hydrolaccolith, is a hill of earth-covered ice found in the Arctic and subarctic. For the Inuit, the shrinking or wasting of a pingo is a sign, on the horizon, of melting permafrost. It’s a deep aesthetic experience of the land . . . a respect for places where it is difficult to live. There is a feeling in these landscapes of receding ice and the lost habitat of wild creatures and the people who coexist with them in the life zone between Arctic land, ice and sea. 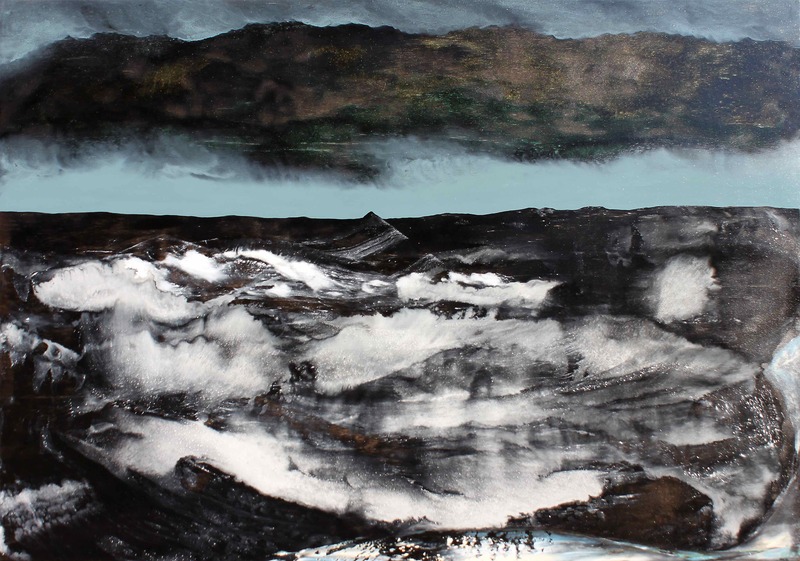 Rucklidge paints the liminal transition zone of the shifting, softening, unstable ice edge in our time. 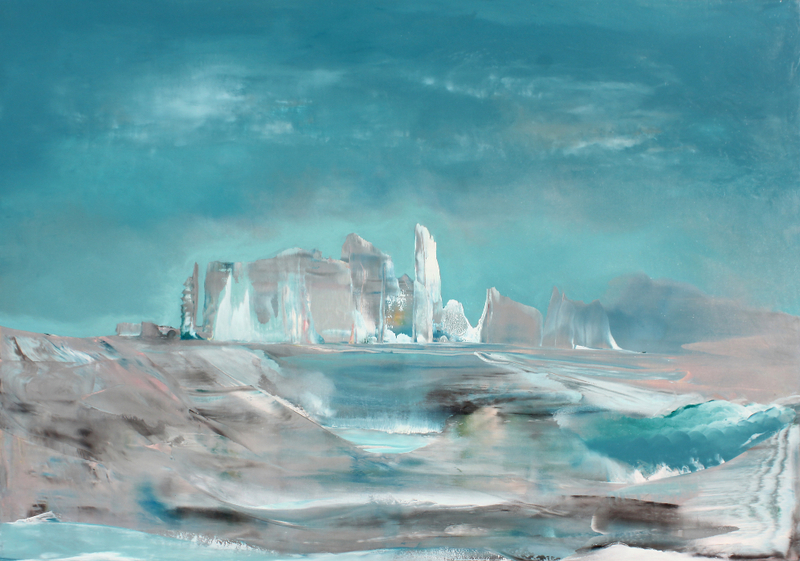 The massive ice forms in these paintings seem to exist in a fluid transition between water and ice. If we forget the shadow of global heating as we are drawn into a reverie with these paintings, the elegiac tone of titles like “The Last Sheets” conjures up convulsions of collapsing ice shelves and pack ice melting beneath the feet of white bears. Rucklidge, Andrew. The Last Sheets. 2017, 38 x 54 inches, oil and egg tempera on toned gessoed panel. The painters that Rucklidge mentions as being important to him all make sense: the drive toward chaos of Francis Bacon, as well as the meditative intensity and subtle colour sense of David Milne. He also mentions respect for Lawren Harris, the Group of Seven (a group of Canadian landscape painters from 1920 to 1933), and American Sublime painters such as Bierstadt. Rucklidge’s work is complementary to those schools but also radically different, and for me it’s a welcome antidote to the formal towering symmetry of Harris’ or Doris McCarthy’s stylized icebergs. Rucklidge’s preoccupation with natural phenomena — and his uncanny translation of vast natural forces into paintings that are enormously moving — reminds me of Paterson Ewen’s work. Evident are the atmospheric echoes of Turner and the moody landscapes of Kaspar David Friedrich — though these are possibly just personal associations. 1. Andrew Rucklidge in conversation with Nick Purdon, in the book, Andrew Rucklidge Paintings, 2005-2007, published by Andrew Rucklidge and Christopher Cutts Gallery. All quotations are from Andrew Rucklidge in conversation with Chris Lowry, Nov. 28 2017, except as footnoted. Rucklidge, Andrew. Slope Retreat. 2017, 44 x 46 inches, oil and egg tempera on toned gessored panel. CHRIS LOWRY is a writer and media producer, some of whose work is on artists, including the film Chambers: Tracks and Gestures on painter Jack Chambers. His current project is a documentary about the life of the influential scholar, art critic and educator Ross Woodman. So enjoyed this story on Rucklidge. Making his own paints from the land, such involvement with his expression. Anong Beam on Manitoulin Island is now making and selling paint from local pigments. BEAM paints. I found both Rucklidge's work and your insights really stimulating. I'd like to see his work in the flesh. Can't wait to see this in person. Great review and great issue of The Journal of Wild Culture! Really interesting work from the celebrated Mr Ruck, especially "The Last Sheets". Evocatively representative landscapes and yet acid-y. And for me, a new word: pingo. Thanks! Beautifully written, Chris. Your well-chosen words drag me in and along with you as you describe and inquire. Thanks for writing about this stunning work! 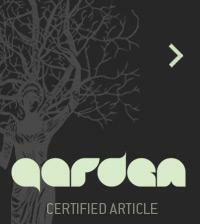 Bruno Latour — Inside the 'Planetary Boundaries': Gaia's Estate"